Government Printing Office RF Spectrum Chart acquisition? eHam > eHam Forums > Elmers > Government Printing Office RF Spectrum Chart acquisition? RE: Government Printing Office RF Spectrum Chart acquisition? 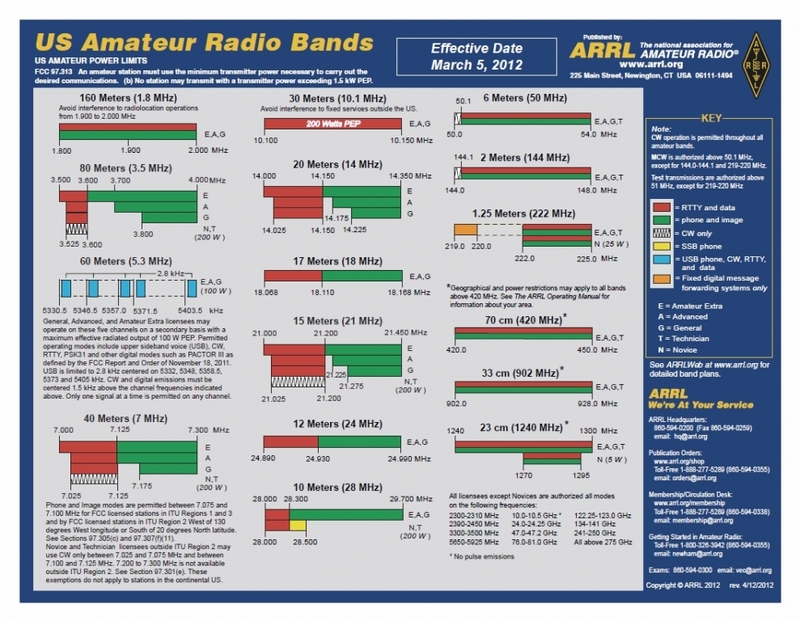 Can we have 69.9 to 70.6 MHz for a 4 meter band, pretty please? I got one from Network World magazine (www.networkworld.com) years ago, just by asking nicely in an email. It was a very nicely printed B-size or so poster that listed all allocations from almost DC to somewhere around ultraviolet light. Don't know what's happened to mine.